This book is about a 17 year-old girl named Samar or “Sam”. She is an Indian American who lives with her mom. Her mother keeps her heritage and past away from her. It doesn’t bother Sam all that much because she is so busy with school and friends. She also has a boyfriend. After 9/11 her long lost uncle Sandepp shows up to her house and everything changes. She wants to learn about her heritage and were she came from. This information is what her mother has been hiding from her for so long. I really like how this book is written because it is easy to read. I have not finished it, but I would like to finish it. I could see almost everyone reading it. Although I think teen girls could relate to it more than boys might. Shine Coconut Moon is available in the WHS Library. The book called Go Ask Alice is a biography about a girl named Alice. Alice comes from a really good family, she wrote this book in a diary form about her life. No one knows who wrote it because its anonymous. In her diary she talks about her life and the problems she deals with growing up such as drugs and trying to live on her own. What i liked about this book is it was very interesting and not boring. I also liked how it was a true story about someone’s life. I recommend this book to any teen who likes a good read. 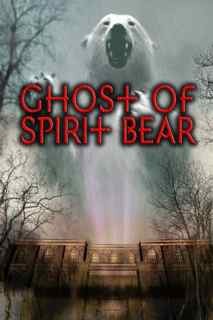 I Read the book Ghost Of Spirit Bear, it is a good book fill with suspense. This book left me not wanting to put it down. The book is the second one in the series and you should read the first one first. [Touching Spirit Bear] The book is about a kid who is sent away to live on an island instead of going to juvenile hall. When the boy comes every thing has changed. The book start to get good when he come to how life has change and how much more there is to life. I thought it was a good book overall and would recommend it to people who like the outside and who want to learn something about life. Ghost of Spirit Bear and Touching Spirit Bear are in the WHS library. Prey was about a new high school teacher and this was a new Teacher at their school who was very good looking. All of the boys loved her and the girls wanted her gone, because the boys where all about her. She has been a teacher for a few years but this is her first year at there school. One student named Ryan has the biggest crush on Ms. Settles. I thought that this book was very well written. I like the style that is was written in. The book have a very good story line. You will have to read it to find out. I feel that this book could go between 8th and 10th grade it was a little corny for my likings. Prey is available in the WHS Library. The book Horowitz HORROR is a horror book that has nine different stories in it. Each one keeps you wondering what the next one will be like. Like for example, “Night Bus” a story about two boys who are trying to head home from a costume party. So they take an old fashion bus. As they get on a really old guy asks where they would like to go? The boys tell him and he starts to head out but keeps stopping cemeteries and morgues. More things like this happen that you will have to find out for yourself. I have to say it is an good book to read when your bored or if you just love scary stories. I like how the author uses different locations, names, and storylines for every story. Horowitz Horror is available from the WHS Library. King Dork by Frank Postman is a great read. I don’t read much but when I started reading this book I just got into it. Also, if you like the book The Catcher In The Rye this book is talked about in the book as well. The main character is Tom aka “King Dork.” He is a high school student who discovers the book Catcher in the Rye from his dad’s room. The book is torn apart and contains many pictures and writings. The book and what is inside becomes a puzzle that Tom has to solve. This book is a good book for someone who needs to be drawn into a story quickly. The chapters are pretty short and it is an easy read. I would recommend this book to anyone. 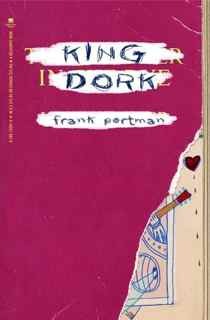 King Dork is available in the WHS Library, as is The Catcher in the Rye. Read them both! 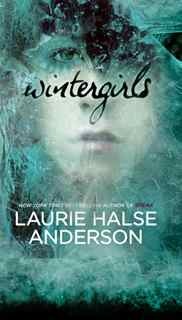 Wintergirls is about two girls, one is anorexic (Lia) and the other is bulimic (Cassie). The two girls have a competition as to who can be the skinniest. Cassie is found dead in a nearby motel. Even after her friend’s death Lia still wants to be skinnier. Lia was down to 89 pounds and tries to hide it from all of her family members by wearing many layers of clothes. Lia only has 200 calories a day; even less sometimes. The book reveals how she eventually gets help for her disorder. I liked this book a lot because it really feels like a true story . You want to keep reading it to find out what happens next. I would recommend this book to a lot of people because it is almost like a murder mystery. I think the author is great. She also has written many other books of this type such as Speak and Twisted. Annie’s Baby by Breatrice Sparks is about a fourteen-year-old girl named Annie who is in high school. She pours every feeling and doubt into her diary. Then Annie falls in love with an older richer boy named Danny. Even though she is in love with him he treats her very crueley. During this abusive relationship Annie finds out she is pregnant. Can Annie raise the baby on her own? I really like this book because it show that girls today are falling in love quickly and sometimes getting pregnant. I also like how Annie can’t tell how she feels to anyone but her diary. If you have read the book Go Ask Alice by Breatrice Spark and you have watched “Juno” then you are going to like Annie’s Baby. I also think this book is good for anyone who is a teenager. 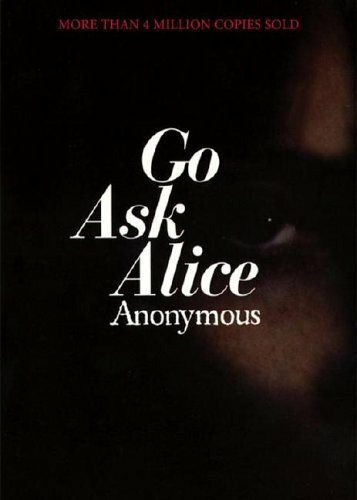 Annie’s Baby and Go Ask Alice are both available from the WHS Library. During a walk one day in Moscow, New York City born twenty-two year old employee of the American Embassy in Moscow, Alexander Dolgun, was kidnapped and taken to the Lubyanka prison. This was the headquarters of the MGB, a Russian secret police organization. Initially, at first he thought he had a great story to tell having seen the inside of such a famous place. He knew he hadn’t committed a crime and was unafraid, even a little bit excited. 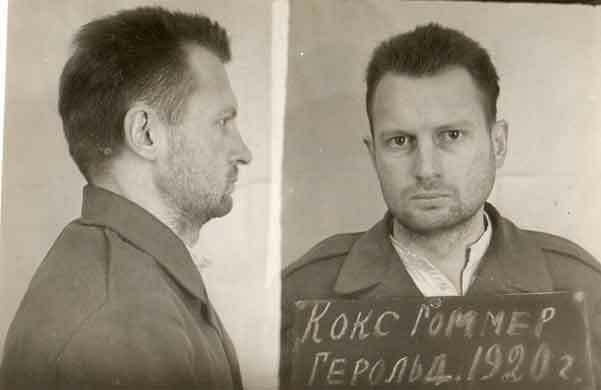 But it wasn’t long before he was imprisoned, interrogated, tortured, and sentenced under the Soviet Criminal Code for: espionage, political terrorism, anti-Soviet propaganda. He was imprisoned in a forced labor camp. The book tells the tail of his imprisonment. I really liked this book because it was a true story and it was a very interested read. This book truly emphasizes what a true believer is, which really pulled me into it. Alexander Dolgun’s Story is available through inter-library loan. The book Woodsong, is one of Gary Paulsen’s best adventure books. Its about a guy that has done everything; from being a teacher to a heavy equipment operator. He also wrote books and struggled for money. Then he finds out that he can run a trapline in the mountains of northern Minnesota for money. However, the only easy way to get through the mountains is by sled dogs. As he starts to train more and more dogs he starts to feel like this was something he could do for a living. So he trained his dogs hard running them through high mountains and thick woods. Then he starts to think that his dogs are good enough for the eleven-hundred mile race across Alaska, the Iditarod. Gary Paulsen’s books before and I think that its his best one yet. It’s a good book for people that like the outdoors and adventure. Woodsong is available in the WHS Library, along with many other Gary Paulsen books.